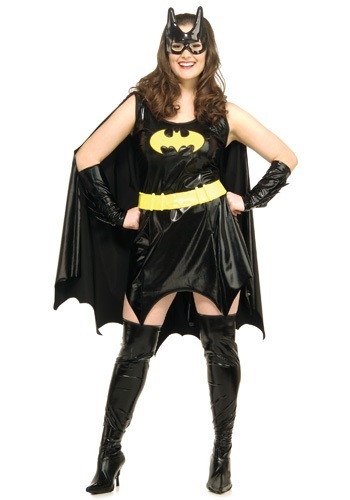 Adult Plus Size Batgirl Costume By: Rubies Costume Co. Inc for the 2015 Costume season. Gotham City is a very big place and Batman can't patrol the whole city alone which is why he has the help of Batgirl. This superhero filled with girl power is ready to punch and kick her way through any tough situation that Gotham's rouges gallery will throw at her. So get ready to team up with the dark knight himself or even Robin this Halloween in this great Batgirl costume.